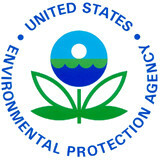 As part of continued efforts to ensure a more comprehensive understanding of nanoscale materials in commerce, the US Environmental Protection Agency (EPA) has issued a final regulation requiring one-time reporting and recordkeeping of existing exposure and health and safety information on nanoscale chemical substances in commerce pursuant to its authority under Section 8(a) of the Toxic Substances Control Act (TSCA). available health and safety data. EPA seeks to facilitate innovation while ensuring safety of the substances. The information collection is not intended to conclude that nanoscale materials will to cause harm to human health or the environment. Rather, EPA will use the information gathered to determine if any further action under TSCA, including additional information collection, is needed. EPA proposed and took comment on this rule. Persons who manufacture or process a reportable chemical substance during the three years prior to the final effective date of this rule must report to EPA within a year of the rule's publication. Further information, including the final rule and a fact sheet, is available on the EPA website.